Here at HIP Video Promo, we’ve been working hard to promote music videos since the year 2000. It’s important to us to help younger and independent artists get the recognition they deserve, and it’s exciting to be on the ground floor with artists that become household names (and with over 3000 videos under our belts in 18 years, there are quite a few). Every Friday, we’ll be sharing a “Flashback Friday” video, where we get to reflect on one of our favorite videos from a few years ago. Fawning over teen heartthrobs is practically a right of passage for young women. No matter the era, every generation of teen girls seems to have a group of male musicians who they admire not just for their looks but for the songs that have stolen their heart. For those whose formative years were in the mid-2000s, one of the most admired was none other than Ryan Cabrera. After playing in the band Rubix Groove, in 2001 he recorded his first solo album Elm St. at Deep Ellum Studios. He later signed to Atlantic Records and in 2004, released his major label debut, Take It All Away. The album was certified Gold by the RIAA, and lead single “On The Way Down” reached number 15 on the Billboard Hot 100 and number 4 on the Top 40 Mainstream. His song “Inside Your Mind” appeared on the Son of the Mask soundtrack, and “Always Come Back To You” was on the Fantastic Four soundtrack. After a live concert film, Live at the Wiltern, he released the followup album You Stand Watching in 2005. Music wasn’t Ryan Cabrera’s only success: he appeared on several episodes of then-girlfriend’s Ashlee Simpson’s reality show, The Ashlee Simpson Show in 2004, hosted the MTV series Score (where contestants wrote and performed songs in an attempt to win over a special guest) in 2005, appeared on several episodes of The Hills with his then-girlfriend Audrina Patridge in 2010, and appeared on the E! television show Pretty Wild in 2010. But he didn’t stay in the major label world forever. In February 2008, Cabrera released “Say”, the first single from his fourth studio album The Moon Under Water. Moon stays true to his signature pop-rock sound, while adding elements of dance-rock, R&B, and folk. Right around the album’s release in May we hopped on board to promote the clip for “Say.” “Say” was a declaration of Cabrera’s independence, and a fitting choice for the lead single: Moon was released on Papa Joe Records, marking his return to independent music. In the video, he and his band perform at a hip NYC bar. Not everyone is on board, but Cabrera is ready to restate his claim as a leader in independent music. Later that summer, we teamed up with Ryan Cabrera once again to share the video for “Enemies.” Whereas “Say” was upbeat and romantic, “Enemies” tells the story of a narrator who’s confused and in serious relationship trouble. This time, Cabrera and co. perform in a cage of light, framed by the windows of skyscrapers in a dark, ambiguous cityscape, as footage of beautiful people in action are projected onto the screen. Eventually, Cabrera’s girl comes home to find him in bed with someone else; but how is she supposed to feel, and who is it, truly, that he’s fighting with? Ryan Cabrera released two songs, “Home” and “I See Love” in 2012, and was the first artist to sign to Dynamite Music in 2014 with the single “House On Fire”; he released the EP Wake Up Beautiful in 2015. He continues to tour regularly, and is currently on the road for the Pop 2000 Tour hosted by Lance Bass (of *NSYNC). 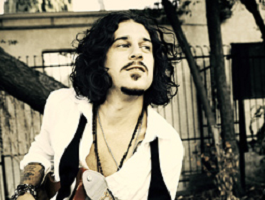 Next march, he’ll hit the sea for the Ryan Cabrera & Friends Cruise! Head to www.RyanCabrera.com for more info and a full list of his upcoming tour dates. We’ve been big fans of Ryan Cabrera for a long time, and we can’t wait to see what budding artist becomes the next break-out star. Do you think your video has what it takes to be the next worldwide smash hit? Get in touch with Andy Gesner and the rest of the HIP Video Promo team by giving us a call at (732)-613-1779 or emailing us at info@HIPVideoPromo.com.